Belle Gunness was born in Selbu, Norway on November 22, 1859 and immigrated to America in 1881, settling in Chicago. In 1884 she married a man named Mads Albert Sorenson and the couple had four children. In July 1990, Sorenson died, apparently of a heart attack, although there were whispers that he’d been poisoned. 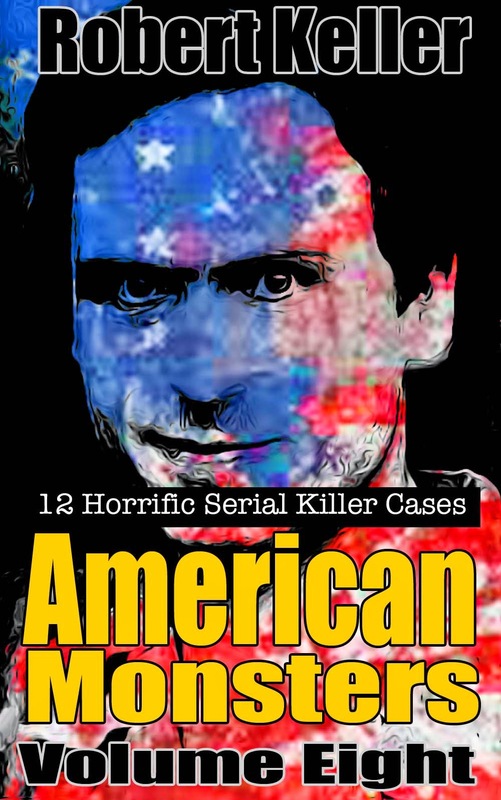 Two of the Sorenson children also died in infancy under mysterious circumstances. With the insurance payouts from these fortuitous deaths, Belle bought a farm near LaPorte, Indiana. Once settled in her new home, Belle began writing and responding to matrimonial ads. A man named Peter Gunness was one of those who replied and he and Belle were married in 1902. However, Gunness was killed in a bizarre “accident” after an iron meat grinder fell from a high shelf and struck him on the head, earning Belle another tidy sum. Shortly after Gunness’ death, Belle took to the matrimonial columns again. Over the years that followed, several wealthy suitors (John Moo, Henry Gurholdt, Olaf Svenherud, Ole B. Budsburg, Olaf Lindbloom, Andrew Hegelein, to name just a few) arrived at the farm and promptly disappeared. Belle, meanwhile, bemoaned her inability to attract a husband. During that time Belle’s daughter Jennie's also disappeared. According to Belle, Jennie had been sent to a finishing school in California. In 1908, the brother of Andrew Hegelein arrived in LaPorte to enquire about his missing relative. Shortly after, a fire broke out and burned the Gunness farmhouse to the ground. In the ruins, rescuers found the body of a headless woman and three children, believed to be Belle and her offspring. However, doubts soon surfaced over the identity of the woman as she was of a much smaller build than Gunness. Then, as the search of the property continued, someone found a human skeleton, partially buried in the pigpen. An excavation was ordered and unearthed a mass grave, containing the remains of more than forty men and children. Most of the men had traveled to La Porte in response to matrimonial ads placed by Belle Gunness. One of the children was Belle’s missing daughter Jennie. With Gunness nowhere to be found the blame fell to her hired hand Ray Lamphere. Cleared of murder but convicted of arson, he was sent to prison in 1908 and died a year later. Before he passed however, Lamphere revealed the truth about Belle Gunness. The bodies found at the farm were men who Belle had lured to the farm, robbed and then murdered. The headless female corpse found in the ruins was not Belle but a maid who she’d recently hired. If Lamphere knew of Belle’s whereabouts, he wasn’t saying. 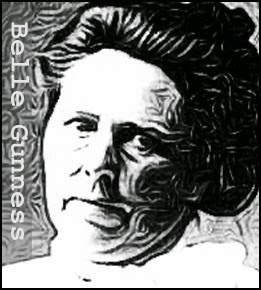 Over the years that followed there were numerous sightings of Belle Gunness from around the country and even from Europe. The elusive murderess however, was never caught.